Куда исчез Фоменко? (1981) / Where Did Fomenko Disappear to? Bio: Rolan (Roland) Anatolyevich Bykov was borne on 12 November, 1929, in Kiev. 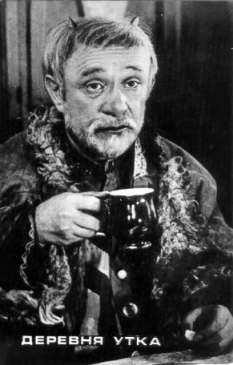 In 1951 he finished the actor's department of the theatrical school of B.V. Shchukin, until 1958 he was an actor of Moscow Theater for Youngsters. 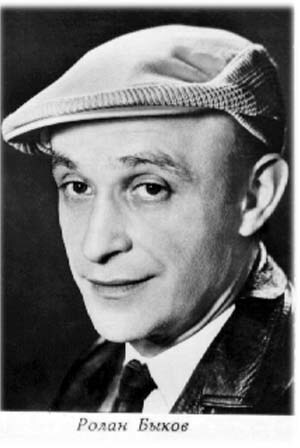 In 1958-1960 Bykov worked as the director of Leningrad (St. Peterburg) theater of Leninist komsomol, led the student theater of Moscow State University. 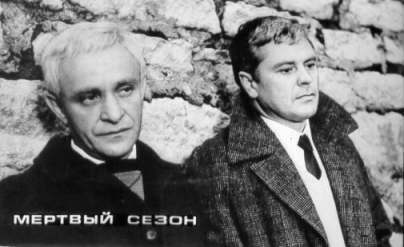 In 1960 Rolan Bykov started working for motion picture studio MosFilm, where he was actor at first, and later became director. In movies he started in 1954, the first role after playing in the film of Vladimir Basov "School of Courage". His artistic range is extraordinarily wide: from the comic and satiric roles to the powerful dramatic ones, created by actor in the collaboration with the best directors of Soviet and Russian cinema. Among his best films as an actor, most notable pictures are: movie versions of the Gogol's works "The Overcoat" and "Nose", "Andrei Rublev" by Andrei Tarkovski, "Commissar" by Aleksander Askoldov, "Once there served two friends" by Evgeny Karelov, "Dead season" by Savva Kulish, "Check-up on the roads" by Aleksey German, "Adventures of Buratino" by Leonid Nechaev, "Dead man's letters" by Konstantin Lopushansky, "It" by Sergey Ovcharov.